Another well packaged Rock Candy release, I was particularly keen to check this one out due to the inclusion of vocalist Rick 'Moon' Calhoun. As a huge fan of the amazing Michael Thompson Band album 'How Long', which came out in 1988 and was reissued on Frontiers back in 2007, I was absolutely floored by the amazing vocals Moon delivered on that record. Apart from popping up on Jeff Paris' 'Freak Flag' album, chances to hear Moon sing were few and far between, so I was delighted when Rock Candy announced that they were reissuing The Strand, the band Moon performed with before he hooked up with Michael Thompson. The good news is Moon isn't the only cool thing about this release. 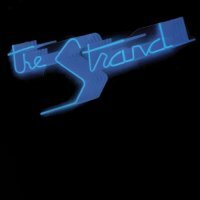 The Strand may have only lasted long enough to make one record, but they had the good grace to make it a cracker and with Toto drummer Jeff Pocaro overseeing the production you can be assured of a touch of quality. Indeed, there is quality in spades on the first song 'Rock It Tonight', an energetic and feel good track that guitarist Scott Shelly drives forward, leaving Moon to deliver yet another masterclass in AOR vocals. It only gets better with 'Long Hot Summer', another uplifting song with a soaring chorus that is absolutely glorious. With ten great songs on offer, I won't bore you with a track by track analysis, but take my word for it, you don't need a skip button on your CD player here. The rhythm section of Dean Cortez and Kelly Shanahan are tight and impressive, the guitar work sterling, the keyboards from Peter Reilich perfectly balanced so as not to overwhelm the songs and everything is topped off by Calhoun's amazing voice. I'd have to file him, alongside Larry Baud of Red Dawn and Network fame, as two of the very best, yet criminally ignored singers that rock music ever produced. That outrage aside, The Strand is well worth a look if you like classy melodic rock. Rock Candy don't tend to put stuff out if it isn't any good, and with their usual detailed story of the record contained in the sleeve notes, you'll listen to The Strand, read their story and rue the day they didn't get to make more music. Great stuff!